BimmerCast #11: The longest most action packed show we ‘ve ever produced. Ok action packed maybe a bit strong, but we can promise more topics over the course of 50 minutes than ever before. First up we talk ActiveE and the new (for the US) 740i models. Then of course there ‘s our exclusive on BMW Performance price drops and what ‘s coming next for BMW ‘s own pseudo aftermarket tuning arm. Then it ‘s onto the E92 3 Series refresh, the 335is (!) and the (seemingly) age-old debate between the DCT and the manual transmission. Finally we talk Z4 racecar and the likely-hood of seeing more of this car on the road. Regarding DCT vs. manual, despite dual-clutch transmissions being the future for most high-performance manufacturers (e.g., the Ferrari 458 is dual-clutch only), I still disagree that DCT is as engaging or as fun to drive as a true manual with a clutch pedal. Yes, DCT rev-matches perfectly every time, but that takes away from the challenge and satisfaction of executing a rev-matched downshift yourself while on a track on your favorite twisty road. Yes, you will likely run quicker lap times in a DCT M3 than a manual M3 (thus why sequential gearboxes are the norm in top-level auto racing), but in which car will you be engaged in the driving experience? For me, DCTs are primarily automatic transmissions that you can shift yourself should you so desire. I am willing to be proven otherwise, but every single dual-clutch I have driven gives me the sense that I am driving an automatic. Until the next generation of drivers never has an opportunity to drive a 3-pedal manual due to their lack of availability, most driving enthusiasts will still prefer the manual IMO. It is here that I believe BMW has it wrong and Porsche has it right regarding what drivers really want. The M3 GTS is DCT only, and the 911 GT3 & RS are manual only. 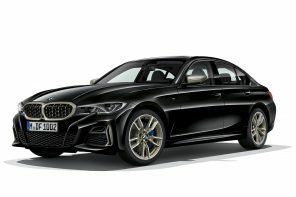 BMW will be making a big mistake and further alienating driving enthusiasts if they bring future performance variants like the 1M, Z4 Coupe, Z2, and others as DCT only. Micah – well said. I’m with you 100%. The key distinction is WHERE the car is used MOST of the time… lots of people speak as if they are at the track every weekend (if they are, I am first of all envious as hell and also in agreement the DCT / PDK / DSG is a great thing to have specced)… but most of us drive sports cars on the street and hit the back road twisties for our fun and in these environments the automated manuals are quite boring and don’t impart that “connected to the machine” feeling that we all know and love so much. Great commentary- I love being the “devil’s advocate”! I do think that in some cars, the DCT (et al.) can be very engaging; especially on the track or if you are coming around a corner in a deserted area with the back end sliding out and then nailing the next gear to shift the slide in the opposite direction without losing a beat (not to be tried at home- professional driver- might as well be a closed course 😉 ) but I do prefer a manual (not in traffic mind you) and that is how I equip my own vehicles. With that, merry xmas everyone… enjoy the holidays! Ah, another show for me to listen to. Technology is giving us cars that are effortless to drive fast. Better transmissions, more torque, turbos, AWD, ABS, Stability control, adaptive cruise control, etc. Is BMW surprised why people claim their cars are heavy and lack personality? While I realize a lot of people put a premium on effortless driving, whether to talk on the cell phone or the ability to drive fast (without needing much skill), it is not what I am after in a car. I want a car that is engaging to drive, one that has personality, not one that is effortless. Yes I love ABS, I like the option to have stability control in snowy/icy weather, and would be a bit faster at the track with a good DCT. However, I want driving to be fun and engaging. I want an engine that sings, a chassis that responds, a transmission that is precise (and controlled by me), and brakes that give me the feedback I expect. I had to special order my car to get the stick and sports suspension. I’m just glad that option still exists (for now) for BMW owners who want that passion. File this under what not to do. All of it.